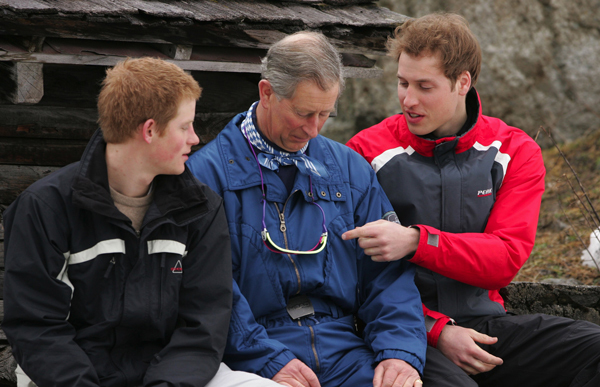 11 brilliant moments between the Princes and their dad! 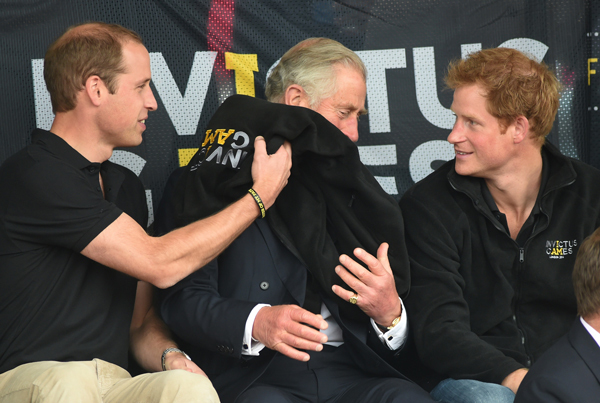 Prince William and Prince Harry have a good relationship with their father, and despite Prince Charles coming across as very formal and proper in public, the boys know how to bring out his funny side! 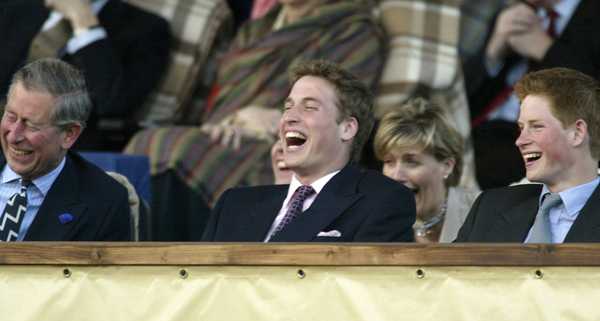 Here are some of our favourite moments between the Princes and their dad…. 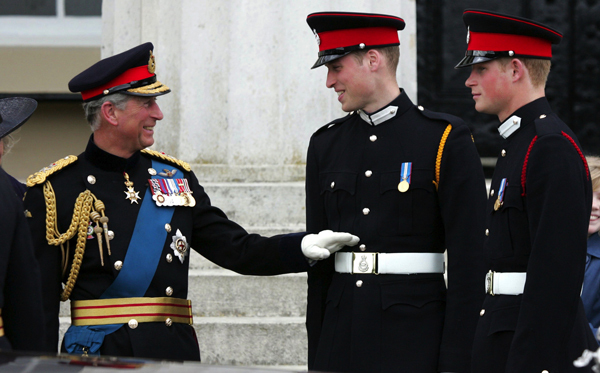 Prince Charles and Prince William share a joke at Harry’s expense and try and make him laugh while he tries to remain straight faced at his commissioning ceremony. 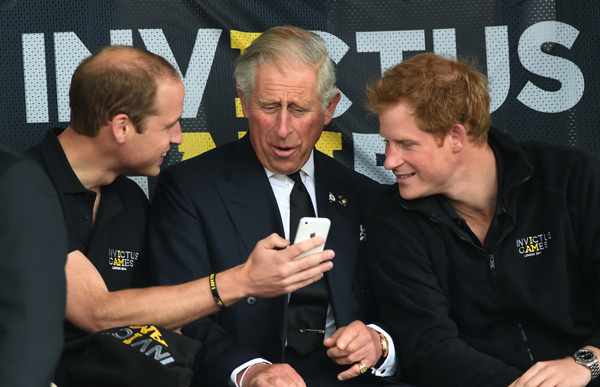 We’ve all been there Harry – it’s not easy! 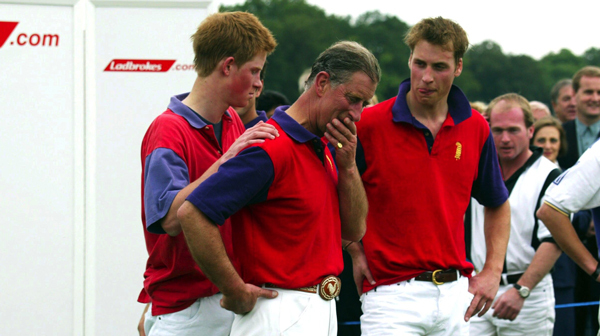 Prince Harry comforts Charles after they lose a polo game – some people just love to win don’t they? 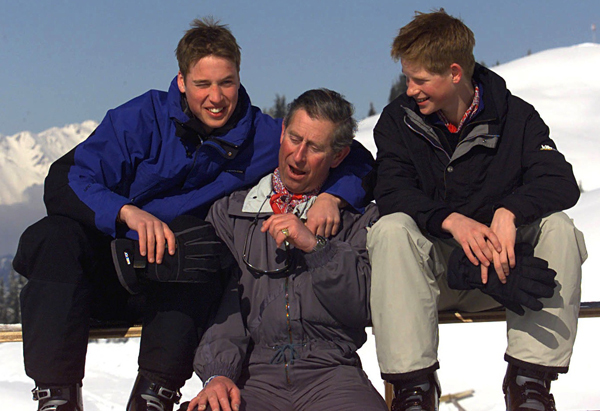 Prince William puts his dad in a friendly headlock whilst on a skiing holiday in Klosters, Switzerland in 2000. 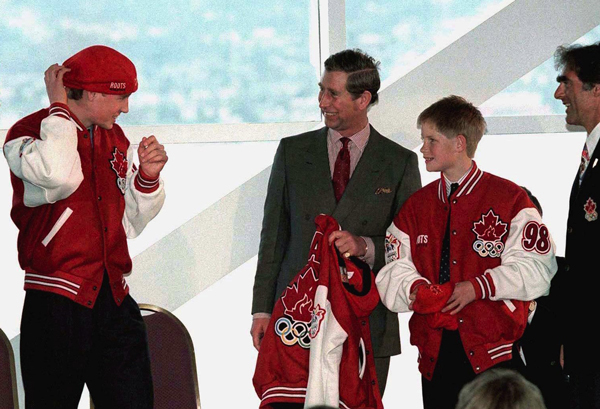 We’re not too sure how impressed Prince Charles was with William’s new look when the Princes and their dad visited the “Pacific Marine Heritage Legacy” in Canada in 1998! 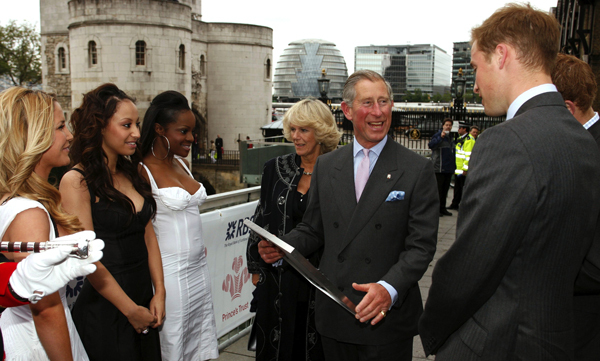 Looking good boys! 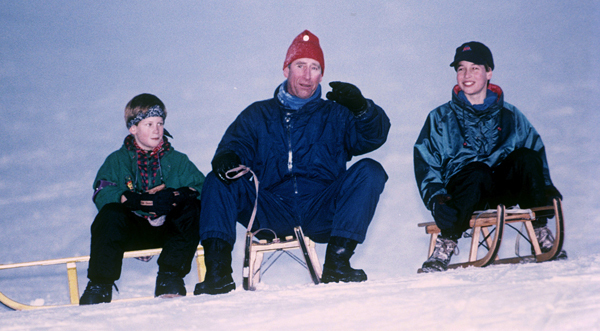 The Princes and their dad go sledging in Klosters while on holiday in Switzerland in 1995. 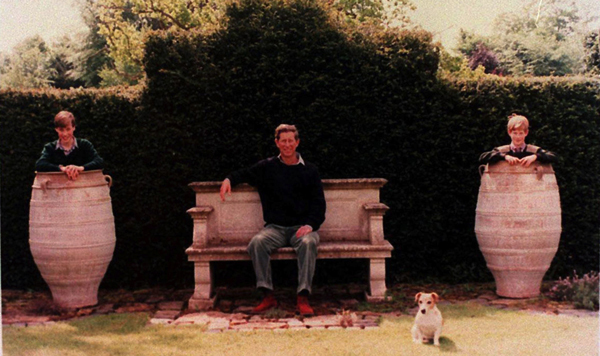 A rather unconventional Christmas card from Prince Charles and his boys in 1995!